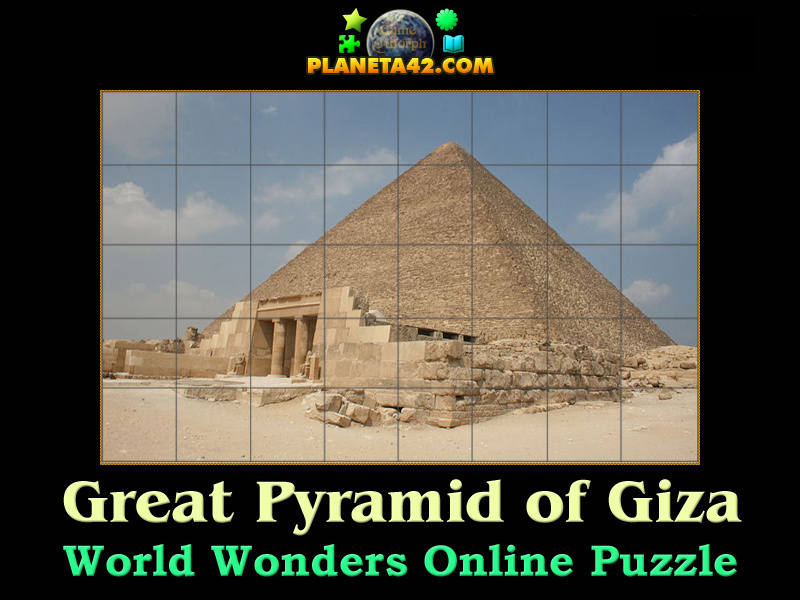 Great Pyramid of Giza world wonder in a fun online history puzzle. 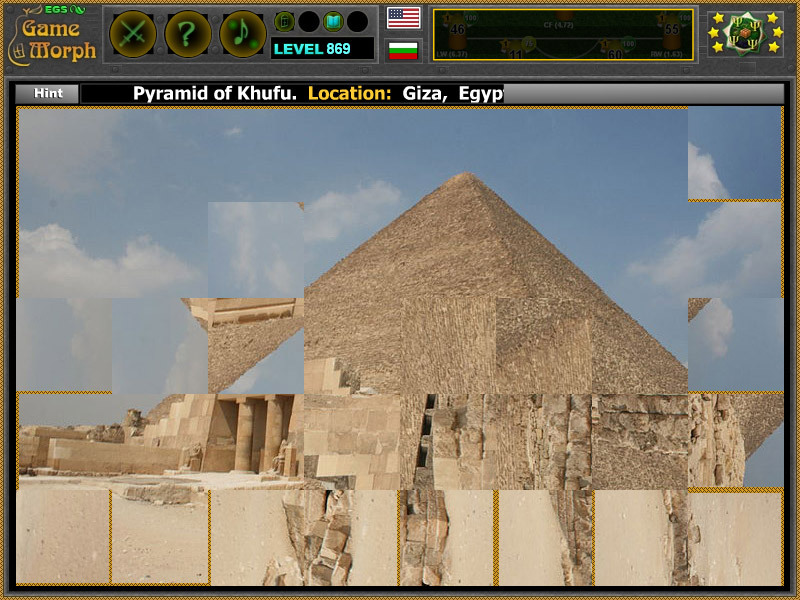 "Great Pyramid of Giza Puzzle" is a fun square rotating puzzle for desktop computers, laptops and tablets, which may be played in the web browser. Set the picture of Great Pyramid of Giza. The History Knowledge Board include 40 square pieces to rotate and finish the picture. How does Great Pyramid of Giza looks like? How to play Great Pyramid of Giza Puzzle. This is a common square rotating puzzle. Click on the puzzle pieces while they fit the original picture. Use the "hint" button to see which pieces left. Know another famous world wonder and get +1 Knowledge Level. From Wikipedia: The Great Pyramid of Giza (also known as the Pyramid of Khufu or the Pyramid of Cheops) is the oldest and largest of the three pyramids in the Giza pyramid complex bordering what is now El Giza, Egypt. It is the oldest of the Seven Wonders of the Ancient World, and the only one to remain largely intact.